You may already be familiar with the 1Password app for the Mac and iOS and know that 1Password is a fantastic way of securing all your passwords, credit card information, account details and much much more. This episode focuses mainly on 1Password for Families but the basic principles are also applicable to 1Password for Teams. 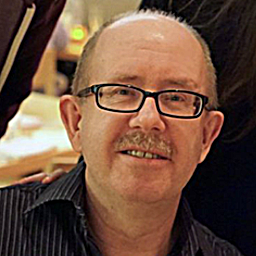 The most recent blog post from Dave of agile bits mentions that the families version can create vaults with view only rights. This tutorial did not appear to show that option. So that begs the question does that feature really exist and how would you go about it. Seems to me that sharing a secondary vault with family members by Dropbox syncing accomplishes almost the same thing w/o the $5 charge. I'm still a little skeptical about keeping my financial passwords on any cloud however secure. Looks like this app would be useful for families where sharing was important for multiple members as opposed to one trusted member in case of an emergency. I love 1P but I'm not sold on this new scheme. It sounds like you are already setup great with 1Password and have shared vaults syncing between you and your family just fine using Dropbox. You're doing great! 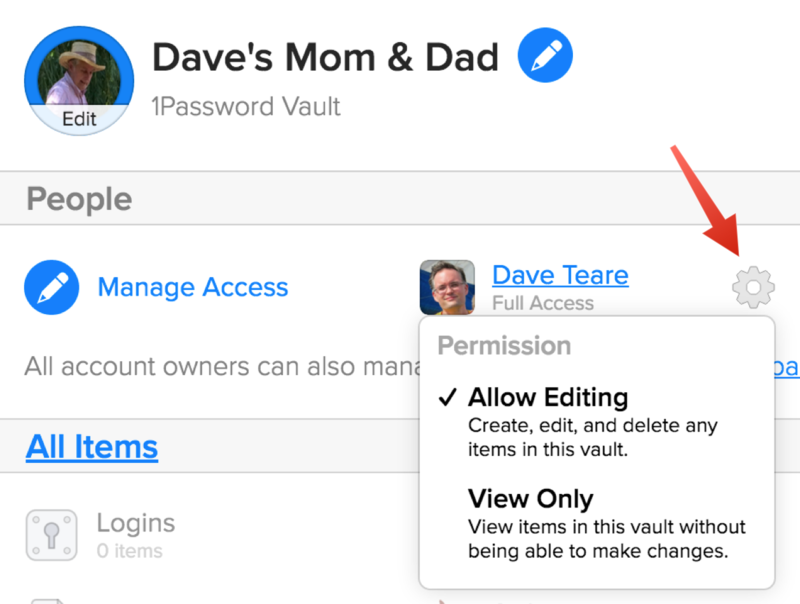 Many people don't get this far and that was one of the reasons we made 1Password Families: we wanted to make it super simple to invite family members and share vaults. So yes, on the surface you already have one of the features of Families. 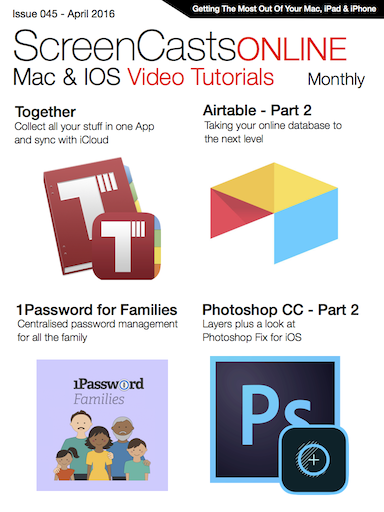 With that said, there are a ton of other features within Families as well. For one, setting up a brand new device is super simple in Families. You simply login and BOOM! all your items appear automatically. I personally have nearly 20 vaults between my company's team (https://teams.1password.com) and my family team and historically I would only add a few of them when I setup a new device because each one required effort. Now I don't have to worry about that as Families makes it super easy to create vaults and share with specific people. Families also gives you online access to your data, the ability to restore previous versions of items, and allows you to forgo managing licenses and switch between operating systems easily.